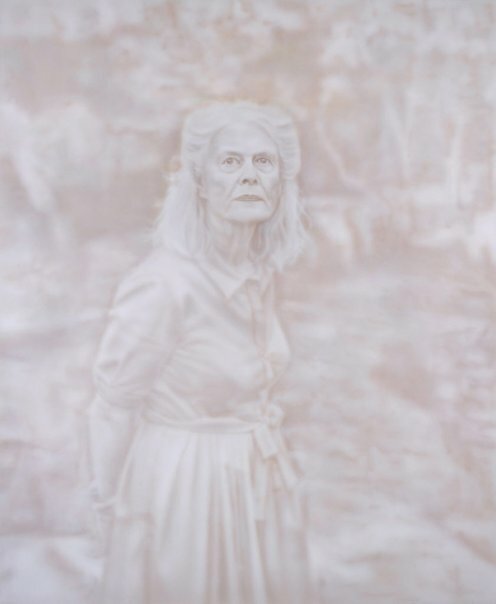 The Archibald Prize this year was won by Fiona Lowry, for her portrait of architect Penelope Seidler. The Art Gallery of NSW trustees, who are the judges of the Archibald, seemed to avoid controversy this year by awarding the $75 000 prize to an overwhelming favourite. Fiona first saw Penelope Seidler six years ago at a gallery opening, and was struck by her beauty and presence; she decided then that she would like to paint her. The portrait was begun at Penelope’s home, Killara House, a heritage-listed Sydney icon which she designed with her husband, the famous modernist architect Harry Seidler. Fiona’s paintings are made with an airbrush and a limited range of soft pastel colours, creating an often unsettling atmosphere seen through a fine mist. I can’t help thinking that Clarice Beckett would give a wry smile … and that once again, Penelope proves a winner! The name Fiona was created by the 18th century Scottish poet James McPherson, and first used in his famous Ossian poems, which were a great influence on the Romantic movement, and instigator of the Gaelic revival. MacPherson pretended his poems were “translations” of ancient Gaelic poems, but could never produce the originals, and it is now agreed that while he based them on old ballads, many of the stories and characters are from his imagination. In the Fingal section of the Ossian poems, MacPherson wrote: Let the sons of Fiona rise, on the lone plains of her lovely Ardan. Fiona is a not a person, but a feminine personification, like Erin or Brittania, or Lady Liberty. But a personification of what? You may recall that the Irish hero Finn McCool’s warriors were called the Fianna. Although that looks as it means “Finn’s men”, fiann means “soldier, warrior, hero” in Old Irish, and fianna is its plural. Fianna can thus be translated as “war band”. Although the Fianna come from mythology, it is believed that such bands did exist in medieval Ireland; young men and women of the nobility who had not yet come into their inheritance and had no lands of their own. Fiona is James MacPherson’s transcription of Fianna, which he may have written to make it look as if it was derived from Fionn, or Finn, meaning “fair, white”, in order to give his Fingal the status of the great Irish hero Finn McCool. You might see MacPherson’s “Fiona” as a personification of Celtic pride, independence, and fighting spirit. Baby name books often try to claim Fiona as a feminine form of Finn or Fionn, but in medieval Gaelic, adding an -a to a name did not make it feminine. Instead -nat or –sech were used, so the feminine forms of Finn are Finnat and Finnsech (genuine medieval names). Just to confuse things, Fíona is a modern Irish name meaning “wine”. Although some people take Fiona as an Anglicisation of Fíona, it’s more that an Irish meaning was found for an existing name. Fiona was used as a pseudonym by the Scottish writer William Sharp. Although already a distinguished poet, biographer, and literary editor, he chose to sometimes write romantic novels and poetry as Fiona McLeod – which he feared would not be accepted if it was known he was the author. William Sharp edited the Ossian poems, which is most likely where he found the name Fiona. William Sharp had a love affair with a woman named Edith Wingate Rinder, and it was those works inspired by his passion for Edith that he attributed to “Fiona McLeod”. The poetry he wrote under the influence of this inspiration is considered his greatest work, and the Fiona McLeod novels proved so popular that they brought him financial success. You could say that “Fiona” was the name William gave his feminine side, and tapping into it unleashed a wave of creativity. 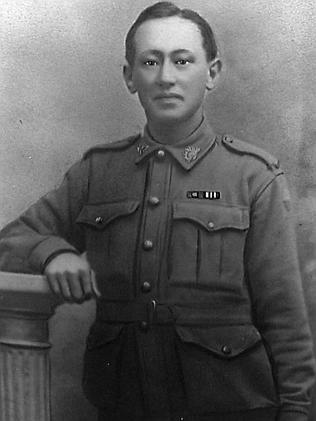 The secret of William Sharp’s dual identity only became publicly known after his death, when his wife revealed that her husband was the author of all works by Fiona McLeod. It was after Fiona McLeod became a popular novelist that the name Fiona became well known, so while James MacPherson may have created it, it was another Scottish writer who spread its use. Fiona first charted in Australia in the 1950s, making an impressive début at just outside the Top 100 at #105. The reason for its sudden appearance on the charts is the 1954 film Brigadoon, based on the Broadway musical of the same name. It’s about two American men who are hunting in Scotland when they happen upon a miraculous village which rises out of the mists every hundred years for just one day. One of the men falls in love with a girl from the village named Fiona Campbell (Fiona McLaren in the original musical), played in the film by Cyd Charisse. The magic and romance of the story were clearly a hit with Australian audiences. By 1960, Fiona was #57, by 1961 it was in the Top 50 at #47, and by 1967 it had just scraped into the Top 20. Fiona reached its peak in 1970 at #14, and was last in the Top 100 in 1986. A famous fictional Fiona during the 1970s was matriarch Fiona Cleary, from Colleen McCullough’s The Thorn Birds, although by this time the name was falling in popularity. If you judge the name Fiona purely as a name nerd, you must admit it has some black marks against it. It’s a “made up” name, and furthermore, not even a name made up for a character – it’s basically the Khaleesi of the 18th century. It was popularised by a man pretending to be a woman, in part to obscure an extra-marital affair. It’s not the most promising name history of all time. Fiona leapt into the charts out of nowhere due to popular culture – a musical film which was a box office success, but received lukewarm reviews. It was a “trendy” name that climbed in popularity very suddenly, then sank again at almost the same rate. It’s a “dated” name, in that it is dated to a particular era – you can be almost sure that someone named Fiona was born somewhere between Brigadoon and The Thorn Birds 1983 mini-series, and most likely between the late 1960s and mid-1970s (Fiona Lowry was born in 1974). But isn’t it tiresome to always judge names through the lens of nerdism? Because in spite of all this, I think Fiona remains a pretty, delicate name with a fascinating literary history. It has a romance to it – a name created by a poet who changed the face of literature, made well known by a writer who had a talent he never knew existed until he fell in love, brought to popularity through a miraculous love affair. I like the fact that such a gentle-sounding name has a war-like meaning; it’s a warrior princess of a name. Despite being dated, Fiona doesn’t sound particularly dated – it even has a fashionable OH sound in the middle. There are tons of Fionas in current popular culture, including Princess Fiona, the feisty green ogress from Shrek. If you love the name Fiona, take heart – it is no longer plummeting in popularity, but relatively stable around the 300-400s, and can claim modern classic status. Furthermore, in the United States, which is much slower to appreciate British (especially Scottish) names, Fiona only began charting in the 1990s and has been gradually climbing ever since. I have a family member who is a massive fan of the Shrek movies, and especially of Princess Fiona. Sometimes I think I will be a grandmother to a little Fiona, and the idea doesn’t displease me at all. Fiona received a very good approval rating of 72%. People saw the name Fiona as strong and feisty (23%), and beautiful or pretty (19%). However, 16% of people considered it too dated to be a baby name. The association with Shrek didn’t seem to be an issue, with twice as many people (10%), thinking it was a cool association than a problematic one (5%). Only one person thought the name Fiona was “too made up”. Bree is the blogger at The Beauty of Names; she’s still quite young, but already has several years of blogging experience under her belt. The Beauty of Names is a stylish, confident name blog which is the fruit of Bree’s name research, and contains lots and lots of lovely lists of names, many of them rare and unusual. There is a very popular series on names from European royalty, names from the world of art, names that Bree finds intriguing, and name profiles. Bree is an avid reader who dreams of being a famous writer, and she has an instinct towards the beauty of words and language which merges into her love of beautiful names. I’ve always loved my name. Growing up, I never knew any other girls with the name Bree, and I loved how short and simple it was. I can’t remember my age exactly, but I was quite young. I came across a baby name book my parents had used to name my sister, and I was immediately fascinated. I read it from cover to cover, looking up all of my family members’ names to tell them the meanings and origins. It seemed natural. I’ve always been into names, have been on multiple name sites through the years, so I thought, What if I wrote my own? And from there it became The Beauty of Names. I’ve had at least two other name blogs in the past, which I deleted because I got better at this whole blogging thing, and wanted to start fresh. One, Midwinter Names, is still up though. Do you have a favourite post on The Beauty of Names? So many! The one I had the most fun writing was definitely For the Shabby Aristocrat Family. Powder and Ink, where I basically write about anything I’m interested in (besides names), from literature to film to history. What are some of your favourite places to find interesting names? I mostly enjoy writing about names from mythology, literature, film, and art. What is it that makes a name beautiful? When it is a name you love, or has great meaning for you. I try not to be too judgmental of name choices, though it’s easier said than done. In the naming community, I dislike it when a name that is typically used by black people is disregarded as “trashy” or “uneducated”. There is so much history there, and I encourage everyone to look up where many of the trends come from, and maybe they would think differently. Currently Evelyn. I adore it, and have since I was young. I also love Margot, Felix, Jane, Cato, and Adele. Too many to list! Guinevere, Titania, Hippolyta, Endellion, Fisher, Hebe, Ferdinand, Lysander, Darwin, Aloysius, Gustav, Aubrey. Girls: Evelyn, Emily, Amelia, Katherine, Ruby, Lydia. Boys: William, Alexander, Gabriel, Christian, Jack, Wyatt, Adrian. Girls: Eleanor, Alice, Hadley, Ivy, Hazel, Josephine, Evangeline, Veronica, Jillian. Boys: Silas, Roman, Ivan, Victor, Wesley, Jeremy, Emmanuel, Rowan. Girls: Pia, Xanthe, Maryweld, Felizitas. Do you have names picked out for your future children? They change all the time, but right now they are Evelyn (middle name undecided), Felix Lowell, Margot Catherine, and more. I was born at Easter, but am not really religious. The only thing that matters is how you feel about the name. Opinions do matter, but not as much as your own. If you love it, and there is no other name you feel the same way about, then that is the one. 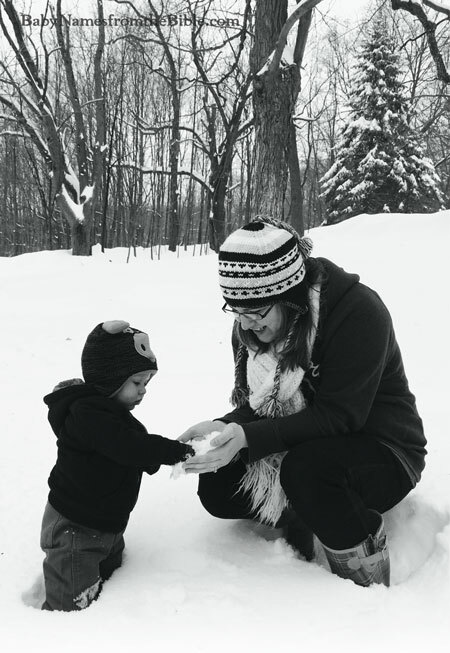 Alexia Mae is the warm and enthusiastic blogger behind Baby Names from the Bible, devoted to all the great names in the Good Book, whether familiar or unusual. I usually allow blog readers to decide which blogger is interviewed, but last month Alexia Mae was kind enough to invite me to be interviewed at Baby Names from the Bible, so this is a return visit – although she would have been chosen next time anyway. Alexia Mae passed her 100th post a month ago, so let’s hope there are many more. Alexia Mae. I’m the “Dear Abby” of baby names, as Alexia Mae is my pen name. My real one? Oh, yes. It’s not too common a name; it’s only ever made it to #30. But the spelling of it is unique, which catapults it outside the Top 1000 for all time. Add a filler family middle, and the annoyance of people misunderstanding my name, and I begged to be called Alexia as a kid. Fast forward to me needing a pen name … Bob’s your uncle, I had one. Mae is in honour of my grandma. Now that I’m an adult I appreciate my given name more. I was almost a Kasia, which I would have loved, too. I blame my name craziness on Shane, my kindergarten crush. He was the ruddy-haired Irish kid with the leather necklace, the dude everyone wanted to be friends with. In a classroom of boring names from the ’80s, Shane stuck out. I suddenly became very aware of people’s names. 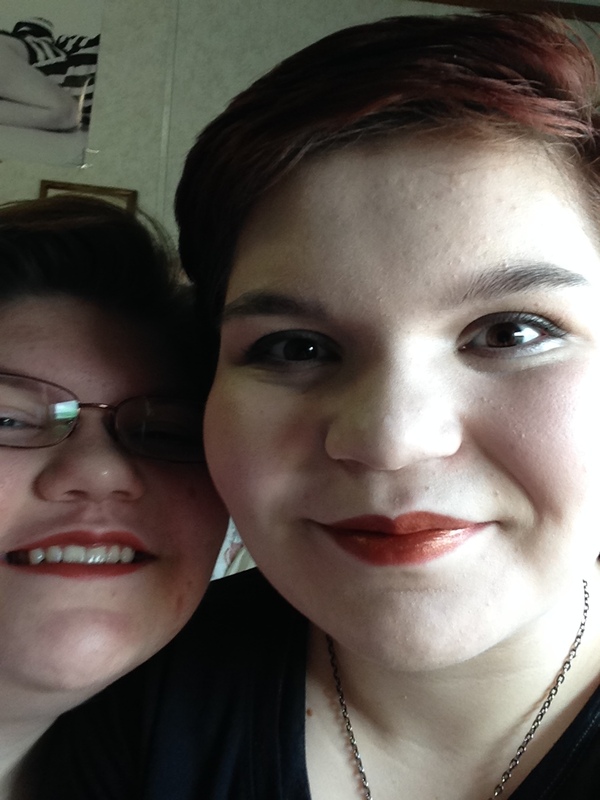 When I was thirteen, my mom got pregnant. My brother Aaron and I were close in age, but now I was way older for this new brother, and boy, was I ready to help name the kid! Shot down, but kept on trying. Their choice? Another A name, Andrew. A perfect recipe for my mom to never get our names right. But, after stealing (I mean permanently borrowing) a name book my mom picked up, I came down with full blown name-nuttiness. It’s been downhill ever since. How did you become interested in biblical names? That first baby name book I got my hands on happened to be about biblical names. And it was literally four pieces of paper. (Maybe that’s why my parents never got out of the As.) It was small. But it had a big impact. To see the meaning of names, and to be able to go to the Bible and see them used, just blew me away. It was my own “sawdust trail moment” for names. They have proved themselves to be real gems, and have a power in their age and timelessness. Do you have a favourite baby name book? The Holy Bible 😉 My email inbox is also swarmed with name people I’m subscribed to, and I rely on Clare’s Scoop for everything else. (That gal needs an award.) [WMTM: She got one! She has a gold ribbon saying her page is one of the most highly-recommended in the Society topic on Scoop]. My husband Josiah and I both love the idea of using biblical names for our children. When I was first married I searched for biblical baby name books, and couldn’t find any. Zilch. Zip. Nada. Not even the one that I originally had. Then I began to think about that original name book, and thought it was awfully small compared to the actual Bible. I mean, the Book of Numbers wouldn’t even fit in there, and it’s practically nothing but names. I kept asking myself, if I can’t find them, who else will? Why is no one celebrating the biblical names I know must exist? So I began logging the names I was coming across for my own use, and I really wanted to share them … and Baby Names from the Bible was born. Do you have a favourite blog entry on Baby Names from the Bible? The post that I’m the most proud of is one I wrote a couple of years ago, Why Name Your Baby a Biblical Name? I take a moment to stand on my soap box and talk about why people, even those who aren’t religious, should take another look at baby names from the Bible. Forget about Zerubbabel. How about Junia? Rissah? Ardon? There are names galore for anyone thirsty for a good name. Are there any other ways to stay in touch with you online? I’m @NamesDaily on Instagram, and I post names every day, both biblical and not. Instagram has been an amazing experience. I have a growing following of over 2000 people. I’m getting the opportunity first hand to see names that knock your socks off, and some, that well, just don’t. I’m also on YouTube. Yhess. Yoonique namez. If I have to read it more than once to get what name you’re actually trying to say, I’ve got to stand up and get a cup of coffee. It literally makes my skin crawl. Jaycein? I am somebody who has zero adrenaline tolerance for awkwardness in any way, so I have to get up and walk it off. True stuff. Boys: Judah and Josiah, of course. Abel. Girls: Juniper. Ellowyn. Cassia. Maewyn. I really love Naphtali for a girl, but can’t bring myself to use it because no one would be able to pronounce it or spell it. It’s like Natalie with an F. I’m drawn to biblical names, but I enjoy other names, too. Delilah. I see the appeal, but I would never use it. The same with Jezebel. That one makes my skin crawl when I hear someone nonchalantly talking about using it. Whether you believe in the Bible or not, the connotation still exists. Jezebel was a murderer, and it would be like naming your child Hitler. I just don’t think you should do it. What are your favourite names that don’t currently chart? Judah David. Our story of Judah’s name is a fun and interesting one, and you can read about it at So There’s This Name …. If you found out you were pregnant right now, what names would you be considering? I would be trying to convince Josiah to like Blythe Salomae. We have boys names we like, but like we did with Judah, we’re not telling anyone. What is something we don’t know about you that you would like to share? I love the Anne of Green Gables series and have read them probably too much. Tell me Lucy Maud Montgomery wasn’t a name nut. Ludovic Speed? Gilbert ❤ Is this why I love the name Blythe? I will never tell. What advice would you give someone choosing a baby name? If you can’t use the one you love, use it anyway. Never, ever settle. Unless it’s Jezebel or Kidneigh Bean, and then I’d say maybe keep looking. Valuable life lessons also apply to names. You are giving your babies the first impression they will have on people. Give them something that makes them proud. Something that makes you proud. And like weak coffee, name regret stinks. I’ll brew down some Starbucks, and you can come over and we can talk more about names! When I first began blogging, I soon found out there was another Anna, from New Zealand, who ran Babynamelover’s Blog. Anna has been blogging since 2009, so she’s an old hand at it, and has a relaxing cool green-themed blog with lots of fun and interesting topics. Here you can find popular names in New Zealand and New Zealand name trends, as well as good data analysis and suggestions for names that could replace ones from the Top 100. There are also lists of hot and old fashioned names for boys and girls, name combinations, name lists galore, and lots of interesting birth notices from New Zealand. Anna also offers help to parents who are unsure about a particular name. For everything on NZ baby names, and lovely names in general, cross the Tasman to see the real names of New Zealand. No. I really like my name; I think my parents chose well. I was born at 32 weeks and they didn’t have one picked out so began at the As [in the baby name book]! Not sure how old I was, but perhaps around 10. I was forever reading the Christchurch Weekend Press and copying out the birth notices – my dad thought I was mad and wondered what I was up to. My brother bought me three name books on Trade Me [New Zealand classifieds] for Christmas one year and that’s how my collection of baby name books began – also the inspiration to write my own book. Blogging was a fairly new thing at the time, so that was something I was interested in learning how to do – and baby names are a big passion of mine. Do you have a favourite blog entry on Babynamelover’s Blog? I always love it when the top names for NZ are released each year and I can compare them to previous years and other countries, and share that with others. The one blog I am especially proud of though was when I announced the birth of my daughter and shared her name with the world. How do New Zealand baby names differ from the rest of the world? I think in general New Zealanders are quite conservative namers, and are particularly swayed by popular choices that are currently hot eg Isla, Mila and Cooper. Most seem to stay within the top 10 which is why these are so common, especially over a period of years – but there are a few surprisingly named babies which I love to hear about. I think we are swayed more by European naming trends than American ones. [Anna O: From an outsider’s perspective, what I most notice about the New Zealand birth notices from Anna’s blog are the lovely Maori names]. Only one thing bugs me, and that’s when people add extra letters to names. I guess my style could best be described as uncommon (in New Zealand), quirky, and fun. Some of my favourites include: Astrid, Iris, Thea, Winona and Polly, along with Casper, Gideon, Octavius, Barnaby, and August. Car names such as Austin, Cooper and Bentley. 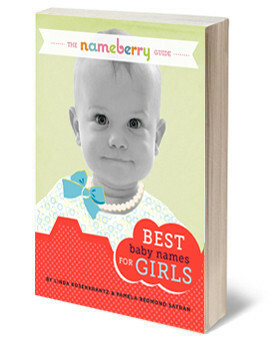 And very common girls names such as Emily, Charlotte, Amelia, and Lucy. My hubby doesn’t like Astrid or Iris, which I adore. Jethro is too close to my daughters name. What are your favourite names in the New Zealand Top 100? Olive (#65) and Jasper (#84). What are your favourite names that have never been in the NZ Top 100? If you found out you were pregnant right now, what would be the first names you would think about using? Have you and your husband ever disagreed while choosing baby names together? My husband and I are lucky we have names we both like – I like a lot that he doesn’t, but I am glad he has a strong opinion. Our daughter’s name we both loved – I didn’t want to compromise on that. My favourite author is John Green. His characters have the best names! Choose one you love, one that you would regret not using. 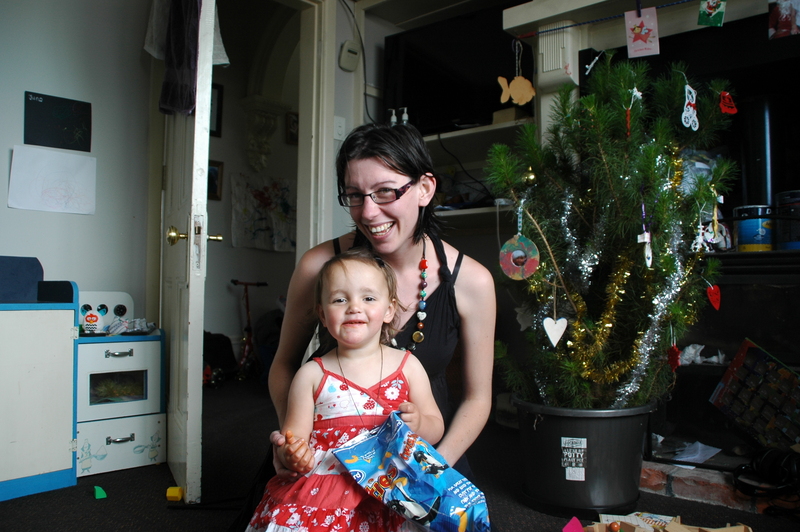 (Photo of Anna with her daughter supplied by interviewee). For a long time I’ve been aware that many Australian parents, as in other countries, are hoping to find a baby name which is little used, yet isn’t considered weird or bizarre either. I wondered how I could help parents find such names – what information might prove useful to them? It was easy to know what names are unusual in Australia: I could look through the data and find names that have never ranked here. A much harder task was to decide which of these names were not weird, and still usable. Eventually, it occurred to me that if a name that was rare here was familiar or popular in other countries, it simply couldn’t be said to be a “bizarre” name. 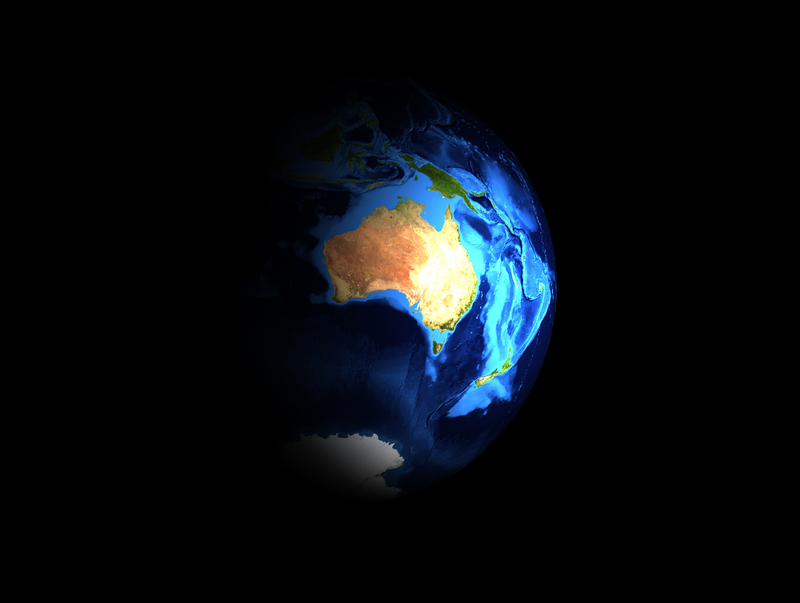 So I began searching for names which ranked overseas, but had never charted in Australia. I added another “safety measure” to my list: they had to be names I had seen recently used for Australian babies. The only names I would accept were those I had personally seen in Australian use for babies born within the past five years. No names I had heard of from friends or acquaintances; no names of elderly relatives or people I’d been to school with. They were names I had seen on babies and toddlers in real life, in birth notices, and in newspaper and magazine stories. It was meant to be a blog entry, and as the list grew I thought it could be an entire blog series. By the end, I realised I’d written a short book. There are 200 names, and each name has its own entry for meaning, history, famous namesakes, fictional namesakes and celebrity baby names, with an emphasis on Australian examples. Each entry also gives overseas rankings for the name. I’m making it available as a PDF document for sale at $1.99 through PayPal. Feel like buying it right now? Press this button! It will be sent to the e-mail address associated with your PayPal account. I’ve also found that writing baby name books is quite addictive, and I’m currently working on something slightly more ambitious. Stay tuned! Laura Wattenberg is the author of The Baby Name Wizard: A Magical Method for Finding the Perfect Name for Your Baby, first published in 2005. If you recall, this is Swistle’s favourite baby naming book, which is a very high recommendation. The Baby Name Wizard is described as a “field guide to American baby names”, in that it doesn’t give definitions or histories of names, but provides lists of names by style, has a popularity graph, and also makes sibset suggestions. The Baby Name Wizard website was started in 2004 – I guess to promote the book, and create a place where its readers could discuss names. There is a weekly blog entry from Laura, where she discusses name trends and often does some interesting things with name data and statistics. For example, last month she looked at the name Cressida, and concluded that it already seemed dated, because of the SS sound in the middle, shared with Vanessa and Melissa. Earlier she examined which were the most American and most British names of 2012, noting that the British Alfie and Archie were cuter than the American Landon and Gavin, while American girls Harper and Addison were more androgynous than the British Imogen and Florence. This seems like a good moment to mention that The Baby Name Wizard is very much about American name trends, and American perceptions of names. For example, she categorises Jenson (a fast-rising name in Britain thanks to Jenson Button), as a “semi-androgynous name”. Yep, Jenson is apparently half-ready to hand over to the girls. Or maybe all-ready to hand over to half of the girls? Or maybe just the Jen half of it is androgynous? (I confess to not really knowing what a semi-androgynous name is). Another rather glaring example that I hope will suitably rile up my Australian readers is one of Laura’s early blog entries, where she very sensibly defended the celebrity baby name Apple, and pointed out that other celebrities had much sillier baby names … among them, Rachel Griffiths, who had chosen the name Banjo for her child. Pause for patriotic display of righteous indignation. The entries on statistics are probably my favourites, but I also love her name myth examination and debunking, such as looking at the massive popularity of celebrity name Shirley in the 1930s, how Biblical names are in steep decline, where the name Bree came from, and how there aren’t really twins named Lemonjello and Orangejello. The Baby Name Wizard is essential for anyone even slightly interested in name trends – and most of these are international trends. Learn about trends such as the “Biblical-sounding” names, the “raindrop names“, and the “huggable names“. But also listen to Laura’s sage baby naming advice not to be a slave to trends. This might sound slightly contradictory, but you have to identify trends in order to not follow them. The Baby Name Wizard got a forum last year so you can ask questions about baby names, including taking part in baby name games and asking about character names. You will get helpful advice for your naming dilemmas, given with candour but not meanness. In my opinion, the forum was very much needed, as people were using the blog comments to ask for baby name help. (Some still haven’t got the memo). There are other cool tools as well. The Name Voyager is an excellent popularity graph of names in the United States, which has been copied by England/Wales and New South Wales. There is also a Namipedia to look for more information on a particular name, and a Name Finder to help you find names that suit your requirements. I’ve had a go using this, and found it brings up quite a few names that didn’t fit my requirements. For example, I asked it to exclude anything very unusual, and it suggested Lovely – a name which has never ranked in the US. It was also quite insistent about me using Hispanic boys’ names, for some reason. However, it did offer some good names too, although I felt that if it was up to the Name Finder, my next child’s name would be either Vorgell or Lorenzo. Lots of fun if you don’t take it too seriously. You can also sign up and pay for the Expert Name Tools, which are reasonably priced. As these are based on American popularity rankings and perceptions, I really don’t think these are worth it for Australians, except for interest, or if you are doing name research (or moving to America). The Baby Name Wizard and Nameberry are both websites set up by the authors of baby name books, and I’m guessing most name enthusiasts would belong to both sites, even if they prefer one over the other. It would be insulting to compare them, except to say that they are different enough that you can follow and enjoy both of them, and never feel that you are covering the same ground. Clare has a wonderful Name News page on the Scoop.it website, which collects interesting blog posts and stories in the news about names. Her collection includes posts in languages other than English, so if you want to know what they think about names in Portugal or The Netherlands, click the “Google translate” button and read on! One of the most useful functions is the “Find” key, where you can search for topics which interest you. Name News is so handy for keeping up to date with what’s going on around the blogosphere that I consult it every day – it’s easier than subscribing to hundreds of sites, or getting dozens of e-mail alerts. Attractive and user-friendly, Name News is an invaluable contribution to the naming community. I went by my first name until I was four, when I decided to use my middle name instead. Now my first name only appears in official situations, and on the odd family Christmas card – and in messages from a friend called Yvonne, who is tickled that we have a hidden name connection. I don’t dislike the name, but it feels like an old toy or a piece of baby clothing: it was great when I was little, and I’m still attached to it, but it no longer fits for everyday use. I’m happy as a Clare and I like the fact it’s more typical for someone my age. How did you start getting interested in names? 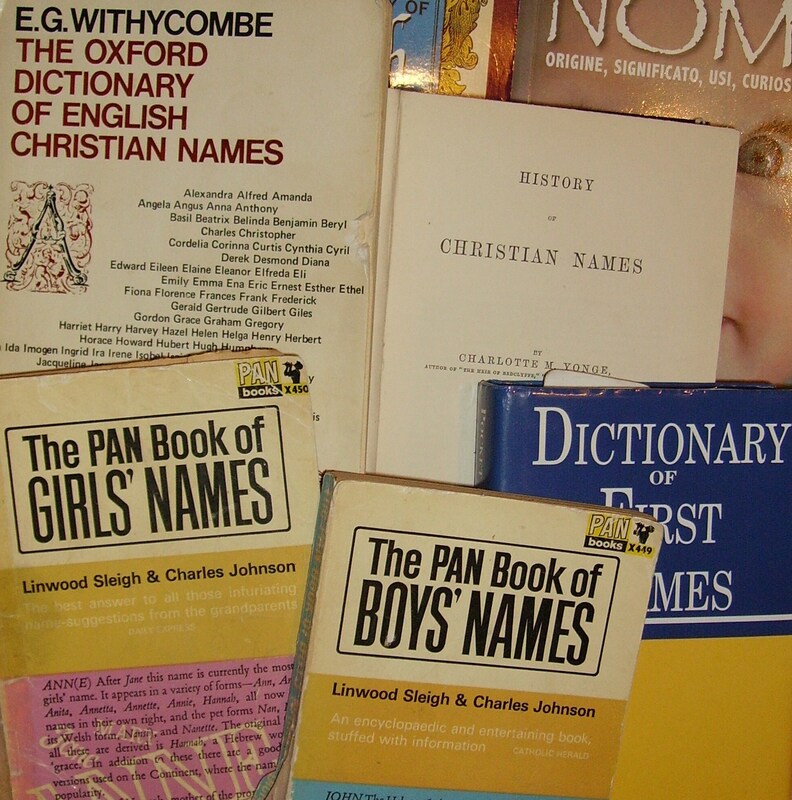 When I was about six, I was visiting a relative who was clearing out some books, and someone handed me The Pan Book of Boys’ Names and The Pan Book of Girls’ Names. I took them home and have been dipping into them ever since. They are particularly strong on literary and legendary figures and references to names in poetry. I’m sure that they contributed to my love of languages, as they gave me a first taste of Latin, Greek, Old English, Welsh, and many others. Each book has a wonderful appendix of names considered unusual by the authors. A couple of decades on I have dozens of name books, but those two are still among my favourites. What inspired you to sign up with Scoop.it in order to share name stories with the wider community? An acquaintance started a Scoop.it page gathering stories about rare books and manuscripts, and I decided to try something similar for name stories. It’s straightforward to create a Scoop.it account and set up a page, and to add “scoops” – I normally use a button on my browser. It’s pretty much as simple as reading name stories that come up on my feeds and alerts, and adding them. I would do it just for personal interest, which sounds rather nerdy, but it’s very encouraging that others are looking at the site too. I know there’s been a huge leap in the number of views whenever the site has been mentioned by other bloggers, especially in Appellation Mountain’s Sunday Summaries, so many thanks to you all for getting the momentum going! I know I’m a bit of a vulture, existing on other people’s hard work, but I hope the site achieves two things: providing a one-stop feed of name stories for people who don’t want to follow lots of different sites, and enabling people to easily search the archives of all the name blogs and articles. Any other way to connect with you online? Name News has a Facebook page, although at the moment I’m using it for following news and the odd “like”, rather than anything more dynamic. I also keep a list of my name books on LibraryThing. If anyone uses that site, feel free to connect! I doubt the list is of much use to anyone else, but it’s quite handy for me, as my collection is currently scattered between two houses. What is it about a name story that makes you interested to know more? I always get excited when I see one of my favourite names in the title. For example, the very first scoop I made was Appellation Mountain’s post Edith, Everild, and Eden: Getting to Edie. Everild was the catalyst – I just couldn’t resist sharing it! I also enjoy birth announcements, clever data analysis, gems from historical records, personal stories … pretty much anything that’s informative, positive, and open-minded. Do you have a pet peeve when it comes to names? I’m not so keen on names with excess “frilly” syllables. I usually prefer the streamlined option, so Isabel over Isabella, Mark over Marcus. Maybe even Em over Emma, or is that going a bit far? By that logic, I should prefer Hild to Hilda, and in some ways I do, but sadly it crosses the threshold of being a bit too much to inflict on an unsuspecting British child. Are there are names you love, but could never use? Names that would be hard to spell and pronounce, culturally unsuitable, and more about me showing off than the child’s best interests. For example, Ælfric (“Alf-rich”), Buddug (“Biðig“, the Modern Welsh form of Boudicca), and Elestren, which I’ve loved since I saw it in a book of Cornish names years ago. I’ll save them for pets and inanimate objects! I’d also be wary of names that sound similar to mine or my partner’s, like Cleo and Robin. What are your favourite names in the England/Wales Top 100? Amy (#62) and Arthur (#52). What are your favourite names which have never been in the England/Wales Top 1000 (since 1996)? Do you have any names picked out for your future children? I have an ongoing list of favourites, but don’t really have a clue how my partner and I will feel if/when the time comes. I expect that choosing a name for a real person will bring out sides of us that we never knew existed. I’ve recently taken up morris dancing, a traditional English dance style with props such as sticks, bells and handkerchiefs. It’s great fun, but a challenge as I’m not very co-ordinated! What advice would you give someone who was choosing a name for their baby? I’ve tried and failed to come up with a wise, snappy, universal answer to this question. Every time I think I’ve got it, I think Oh, but there could be exceptions, or But that might not work for everyone. Maybe that’s a cop-out, but it’s a personal, sometimes complicated decision, with no clear right or wrong way to do it. Plus it’s not something I’ve had experience of yet. I think I’d have to ask for a few more specifics before feeling qualified to give advice. Or, true to form, I could point people towards helpful books and websites.